From about the early 1950s, diamonds have shifted from being entirely naturally sourced mineral gemstones, to such precious materials that can be effectively produced by artificial synthetic procedures. As the name implies, lab diamonds (or Synthetic diamond) & every process leading to their formation, are simulated and implemented in the manufacturing laboratory. 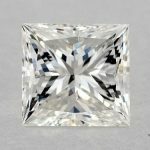 Although the techniques employed in lab-grown diamond processes are still being continuously developed, analysts and stakeholders have mentioned the enormous prospects of this relatively recent technology- whose influence in the luxury industry should be well felt in the coming few years. Note that there are a number of outlined reasons why gemologist and other related practitioners, are in support of a more detailed advancement research for this scope of diamond sourcing. However, there is a need for corresponding public awareness on the characteristic features of lab-grown diamonds, as well as other factors surrounding their production and use. 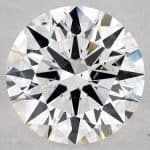 The reasons why lab-grown diamonds are correctly referred to as diamonds (the natural earthcrust product), is because they sufficiently exhibit the same characteristics with very minute differences. This indicates the effectiveness of the yet adopted methods, in creating the precious stone- which has remained one of the hardest gemstones to mine and process. There are two recognized methods for carrying out diamond production, unnaturally. 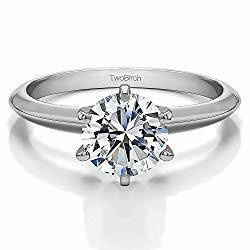 It is not unlikely to find out that each of the processes would produce diamonds with little comparative distinct features that are peculiar to each of the individual methods. This not withstanding, lab created diamonds have been identified as the fastest means of generating diamond gemstones, that are equal in composition and physical appearance to the earth mined samples. One basic advantage of the artificial lab grown diamonds, is the fact that either processes are ideally executed in a matter of weeks; this is a major achievement when compared to the natural production processes that take millions of years to form. In this artificial method of diamond production, pressure and temperature are identified important factors to the ultimate product formation. HPHT processes in lab diamond creation, essentially tries to imitate the natural processes of the raw gemstone formation under the earth crust. Since the natural process is characterized by intense pressure and heat application, HPHT also directs these same factors to the starting materials used for the artificial synthesis. Temperature requirement for this process must be sustained at an optimum of about 2500 to 2700 degrees Celsius, while pressure requirement, on the other hand, is put at about 70000 atmospheres. 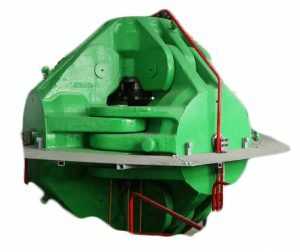 Instead of underground formation as in the natural, this method makes use of specially designed machines that can subject and sustain the input starting materials, in the required conditions, and for as long as is necessary. These numbers aren’t easily achievable in physics, a machine like this green one can be in help for such a task, and you won’t believe it, these machines prices reaches more than $300000 for some models! Yes, they create diamonds, and that’s why! This process is especially noted to produce high quality white and colored diamonds, which resembles the naturally formed samples in a massive way. In-fact, the process has been recognized as a valid option for diamond cut modifications. Hence, diamonds with unimpressive physical appearance, have been made to appear much appealing, using this process. This is of advantage considering the fact that colored diamonds are not sourced naturally, even though they present a great appeal. In this method of artificial diamond synthesis, a selected hydrocarbon such as methane is dissociated in a vacuum chamber. The dissociated hydrocarbon gas consequently gathers into separate carbon and hydrogen atoms, which are bombarded unto a starting diamond seed sample. The gathered carbon atoms from the gas dissociation subsequently builds up on the diamond starting material to form rough diamond products after a series of other associated processes. Usually, this method may require some form of reaction catalyst that would act to break the hydrogen diatomic molecule into singular atoms. Usable substrate materials for this process includes certain metalloids and other non-metals like silicon carbide, tungsten, molybdenum etcetera. While a number of analysts and industry participants seem to recognize this method of artificial diamond synthesis as being the more preferable method over the HPHT process, others have continued to also outline the benefits of the HPHT sourced diamonds. As much as both of the artificial synthesis procedures have proved effective in diamond synthesis from over the years, there are a number of observed differences in their operation processes and finished product traits. These differences are sometimes considered a part determinant in the selective preferences accorded samples obtained from either processes. Some of the observed differences between both methods include the required temperatures under which each of the processes are expected to occur. While HPHT processes for lab created diamonds would ideally require temperatures greater than 2500 degrees Celsius, CVD diamond processes are implemented at temperature fixed within 600 to 700 degree Celsius. This trend also applies, when considering differences in pressure requirements. Considering the energy and pressure requirements of the HPHT processes, it is sensible to imply a high cost procurement on this method, as compared to the other CVD process. 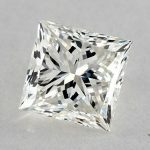 Are there any advantages of lab created diamonds over the naturally sourced stone? Lab grown diamonds have been considered a breakthrough because they provide the gemstones, removing the tedious processes associated with natural mineral extraction. Asides this, diamond extraction is a huge investment venture, that is generally capital intensive. This trend has substantially affected diamond product prices, making it affordable for even lesser persons. The advent of lab grown diamonds provided a framework that enables buyers to obtain diamond cut products at price slash of up to 40%, as compared to naturally sourced diamonds. 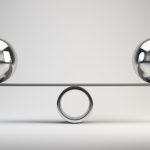 However, the advantages of the lab grown diamond seem to have culminated into a hard blow for diamond miners and merchants- whose products now have a well competing alternative (that may in fact, not be referred to as alternative). The trend seems to be tending towards that point where lab created diamonds, would take substantial prominence over the natural ones. 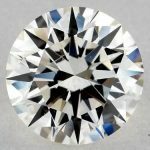 Bottom line – Should I buy a lab-created diamond? A lot of readers send asking if it’s safe to buy lab-created diamonds, the main reason behind this is actually budget. 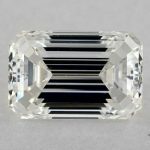 If you’re on a low budget, a really low one, get a lab-created diamond, but it won’t be as a real one, while a lot of people might not tell the difference, but its brilliance won’t be as a natural diamond. But if you have a somehow comfortable budget, a couple of thousands initially, it’s better to get a natural diamond, for a lot of reasons, don’t forget also that if ever wanted to sell your diamond, natural diamond will tend to keep its price with time, which is not the case with lab-created diamonds. The One Page You Need to Read – What 4Cs Should You Look for?